Climate change has an indirect role to play in the strandings of marine mammals like whales; scientists have told Down To Earth. “Climatic conditions do cause whale strandings,” says J K Patterson Edward, Director, Suganthi Devadason Marine Research Institute, Thoothukudi, Tamil Nadu. “Whales find their way through echolocation. Disturbances in the signals cause a whale to lose its way,” says A Murugan, Professor of Marine Biology at V O Chidambaram College, Thoothukudi. The experts’ comments come even as a group of up to 145 pilot whales died after becoming stranded on a beach on Stewart Island in New Zealand. The animals were discovered by a walker late on November 24, strewn along the beach of Mason Bay. Indian territorial waters, which stretch from Sir Creek in Kutch to the Sundarbans in West Bengal, are also home to a number of whale and dolphin species. “We have 25 to 27 species of toothed whales and four species of baleen whales in our waters,” says Sutaria. And Indian waters are not a stranger to whale strandings. Eighty-one short-finned pilot whales got stranded on the shores of the port city of Thoothukudi in Tamil Nadu on the night of January 11. Forty-five were found dead while 36 were marooned on the beach, with little hope of surviving. Braulik says that the coming years will see more revelations about why whales strand. 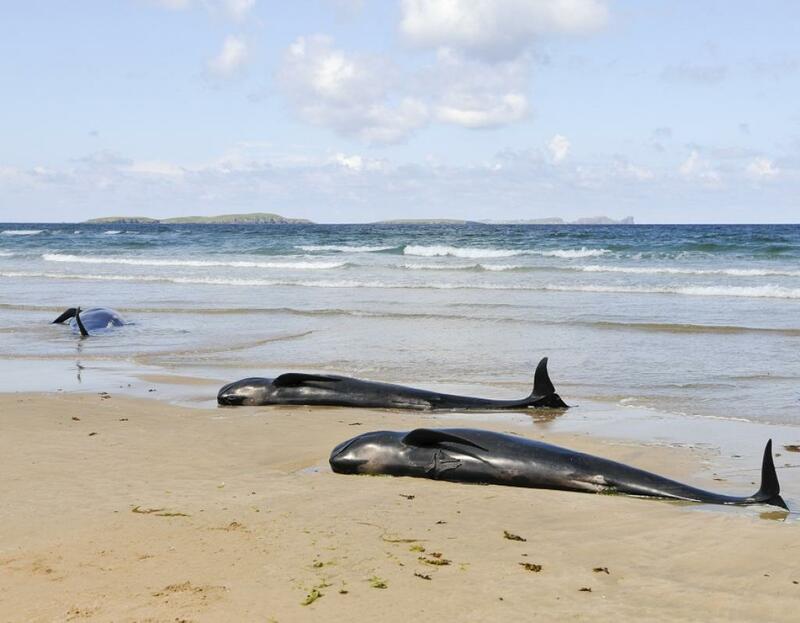 “The last few years have already led to the discovery of new causes of mass strandings especially those related to human-created underwater noise. As science moves forward, more revelations will almost certainly occur,” she says.